Over Sea, Under Stone by Susan Cooper is part of the five-book Dark is Rising fantasy cycle for children, and it’s one of the best examples of the kids-on-vacation-explore-kooky-relative’s-mansion-and-have-an-adventure genre that I’ve ever read. Cooper makes a nod to Narnia, but her book is entirely different. 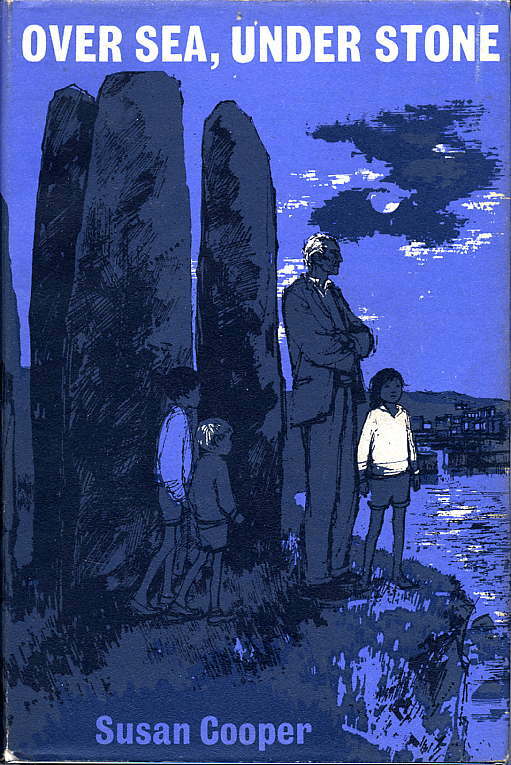 It opens with the arrival by train of Barney, Jane, and Simon in the sleepy coastal town of Tressiwick for their summer break. They are met by Great Uncle Merriman at the train station and driven in his beat-up truck to the Grey House, a mansion overlooking the rugged, mysterious cliffs of Cornwall. Bad weather ensues, and the children, trapped inside for the day, set to exploring the house. They find that Tressiwick, Great Uncle Merry, and the Grey House itself have secrets. Adventure ensues. If all this sounds familiar, it is. Over Sea, Under Stone doesn’t take risks, but it does deliver a familiar story with beautifully rendered realism and enough originality to keep you interested. You get the sense that Cooper could have delivered more of a bang with the amount of fuse she laid down, but the book is still a deeply satisfying one. A great fireside tale, well told.